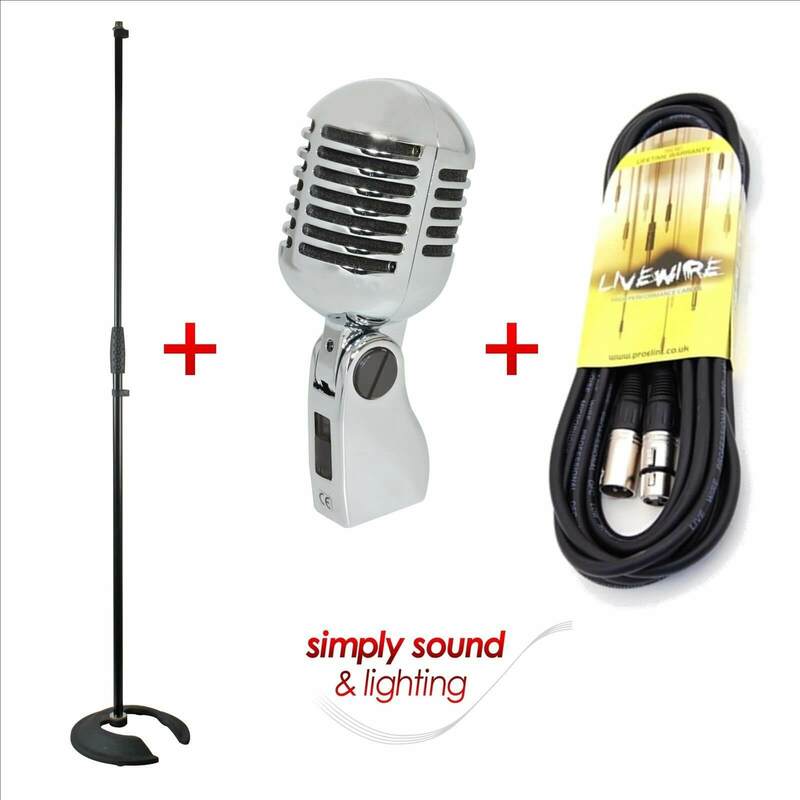 A professional quality retro style microphone featuring polished cast alloy body, Black Foam and top quality dynamic insert, XLR connector and a mounting point for the microphone stand (which is included) along with a 6m XLR-XLR cable in this package. A practical solution for the storage of microphone stands. This stacking microphone stand will allow up to six stands to occupy the same floor space as one, making it ideal for schools, theatres, pubs and clubs where off stage or store room space is limited. Online service and delivery was excellent.